Trusted Trading Co., has many years of experience in Garments market. Every month almost all kinds of kinds are imported and exported to and from Chinese market and are exported to USA, Canada, Spain, Italy, Brazil, Argentina, Mexico, Peru, Egypt, Pakistan, Iran, Korea, India and etc. through us. 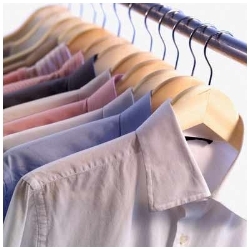 Our gaments range includes but not limited to Men's, Women's, Children's Shirts, Jeans, Trouser, Basic Trouser, Jeans Shirt, Basic Shirt, Jacket, Twill Trouser, Tee Shirt, Polo Shirt, Sweat Shirt, Bermuda, Shorts, Kids Dress, Wind breaker, and so on..